A simple in-game cheats menu with lots of cheats. 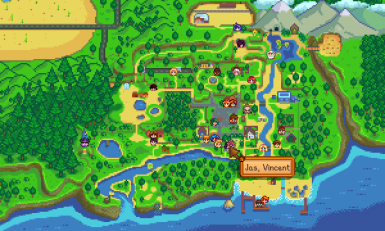 Shows the locations of NPC and farmers on the map page and on a minimap. 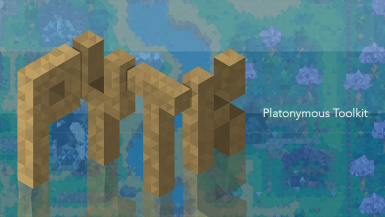 Uses a modified map page that is much more accurate to the game. 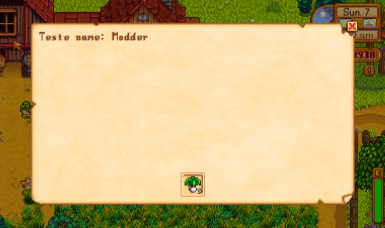 An easy-to-use in-game item spawner menu. See live info about whatever's under your cursor when you press F1. 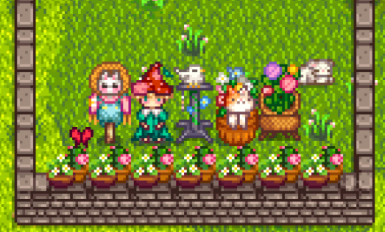 Learn a villager's favourite gifts, when a crop will be ready to harvest, how long a fence will last, why your farm animals are unhappy, and more. 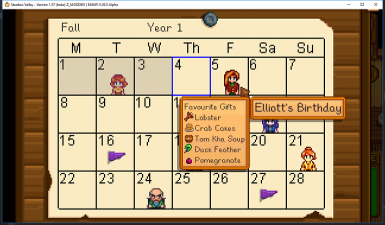 Displays a helpful tooltip that shows an NPC's favourite gifts when hovering over their birthday on the calendar or the social page. 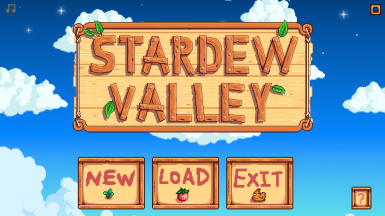 The mod loader for Stardew Valley. 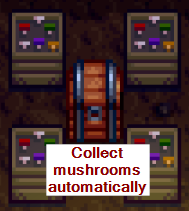 Place a chest next to a machine (like a furnace or crystalarium), and the machine will automatically pull raw items from the chest and push processed items into it. Connect multiple machines with a chest to link them. Provides helpful information about things around you designed to help you be aware of what's going on without feeling like you're cheating. Buy a tractor to more efficiently work with crops, clear twigs and rocks, etc. 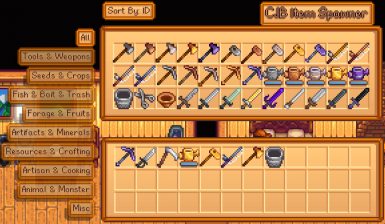 Access your chests, fridge, shipping bin, and Junimo huts from anywhere and organise them your way. 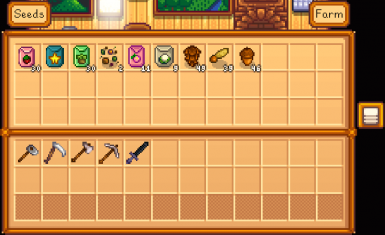 Transfer items without having to run around, from the comfort of your bed to the deepest mine level. Includes optional balanced mode. 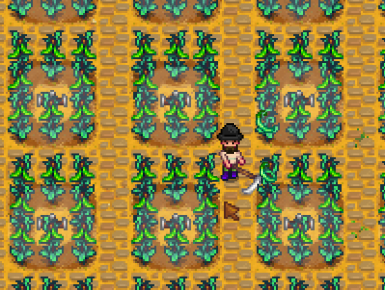 Harvest all of your crops and flowers with the Scythe! 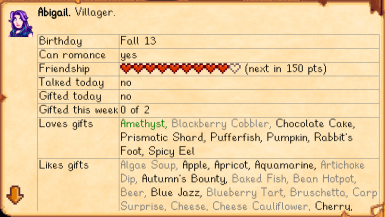 Speed up many animations in the game (like breaking geodes or eating). Optionally configure the speed for each animation. Entoarox Framework contains utilities that other mods can use to simplify their code. All of its main functionality is designed as extension methods on SMAPI's own API's, thus one simple using Entoarox.Framework; at the top of your file, and all of it is available. Framework to use the in game mailbox. Console commands to adjust the mail. Rotate the top inventory row for the toolbar by pressing Tab (configurable). 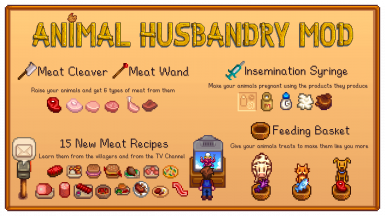 Improves animal husbandry by adding new tools to the game. 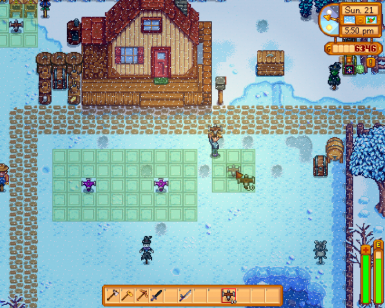 Adds a way to give treats to your animals. Adds a way to impregnate your animal. Adds a way to get meat from them. Adds new recipes using meat. Adds a new TV channel to give tips about animals. 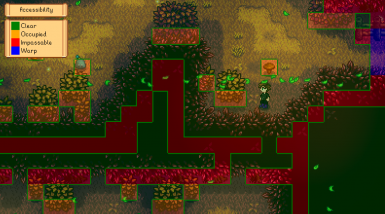 Overlay the world with visual data like bee/Junimo/scarecrow/sprinkler coverage, hidden paths and warps, and more.